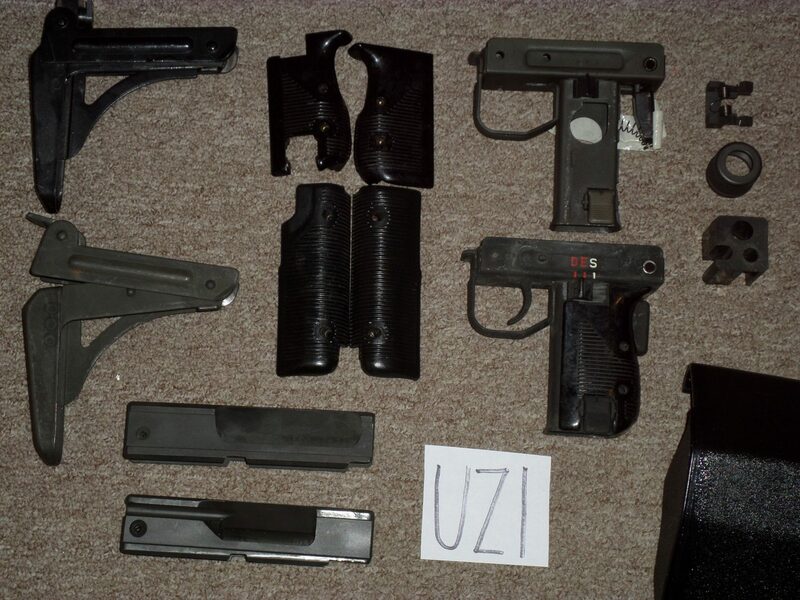 UZI Parts (Very Cheap) Metal stock black: $22. Parked: $22. Grips and forend - use your screws: $22 all four pieces. Bolt for semi-auto complete: $70. Bolt for full-auto complete: $90. Full-auto grip frame - Israeli with some internal parts: $30. Grip frame complete with internal parts - full-auto: $60. Full-auto sear: $14. Barrel nut: $8 Brass catcher- snap on: $20. Accelerator block: $5.